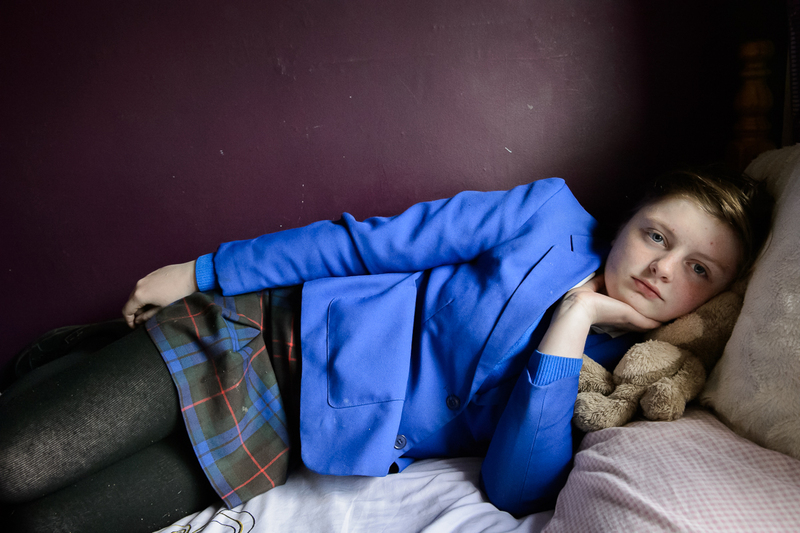 Wearing her school uniform, Demi, 15, lies on her girlfriend Grace's bed in Catholic Andersontown in west Belfast. Like many other young people Demi thinks politicians are locked in the past. "Politicians were brought up in a society were divisions were really simple: man-woman and Catholic-Protestant. We're not like that anymore."